Former beauty queen and actress Megan Young still looks ravishing and glowing five years since she was crowned Miss World. She met some members of the press for her latest endorsement yesterday, June 7, at Manila Marriot Hotel. 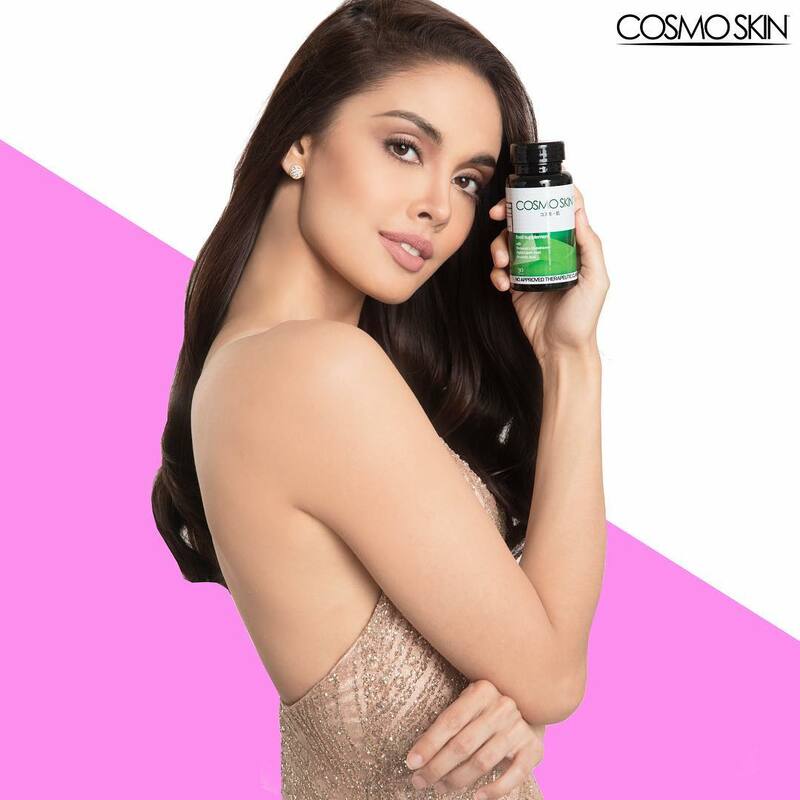 Megan is the new face of Cosmo Skin, the trusted premium whitening supplement in the Philippines. Also in attendance at the press event are Nino Bautista and John Redentor Gatus, BFC Laboratories founders, the maker of Cosmo Skin. During the media conference, Megan Young shared her secret for a youthful glow. “I’m very adamant into skin care and I love taking care of my skin. I always notice na parang I need some extra push to really take care of myself not just outside but also from the within and Cosmo Skin is really helping me not only my skin but also my system. It is not just for whitening but it also good for liver. Wellness is important for me”, Young shared to the press. BFC founder Nino Bautista and Megan Young answer some questions from the press. She also stressed the importance of healthy lifestyle. “I always workout. I get enough sleep kahit puyat sa taping. I make sure to eat right amount of food meaning I get as much nutritious food as I can. Hindi ako nagpapagutom”, Young added. “I said ‘yes’ to this partnership of Cosmo Skin because I’m a true believer of taking care of yourself while you’re still young. Some people believe that you have to take care of yourself pag nagkaka wrinkles ka na. Prevention is always the key. It’s not just the physical aspect. The whole picture is taking care of yourself and how you better take care of yourself by starting from the inside out”, Young said. Megan Young poses for photo during the press event. “Well Megan Young is an icon. She truly personified the brand. As you can see, she is very dedicated when it comes to total wellness. She takes care of her skin and do the yoga. It’s perfect with the mission of the company that is to live well and be better. She is very glowing and radiant. So walang pag dadalawang isip na kinuha namin si Megan sa Cosmo Skin”, Nino answered why he choose Megan Young as the new face of the product”, BFC Laboratories founder Nino Bautista revealed to the press.